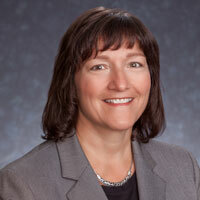 Barbara Sauer became corporate controller in 2015 and was named vice president of finance in early 2019. In her role, she oversees the company’s finance operation. She is also responsible for managing accounting operations; financial planning, analysis and reporting; and for ensuring compliance with financial policies and controls. Before joining LeChase as assistant corporate controller in 2011, Barbara spent more than 20 years at local and regional non-profit organizations, serving in roles that ranged from accounting manager to CFO and vice president of finance. Barbara has an executive MBA from the Rochester Institute of Technology and a BS in accounting from St. John Fisher College.